The Droid – Page 3 – Nigorimasen! 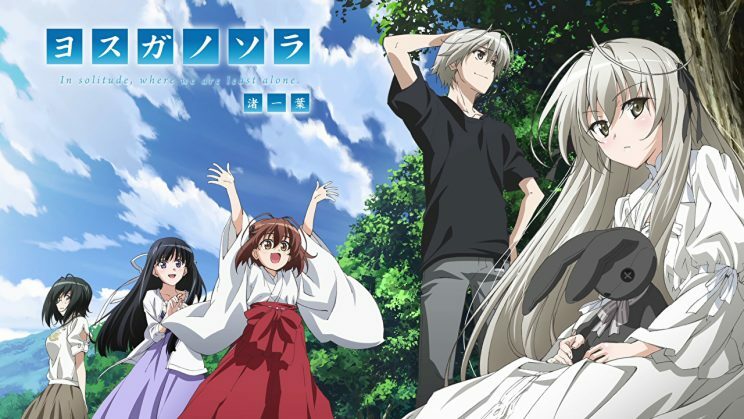 This was a rather confusing show, “Yosuga no Sora” (“Sky of Connection”), in that you were never really sure where the reality was, if what you were seeing was merely the overheated fornix of any of the characters or if it really was as it really was, which made things more disturbing than it had to be. 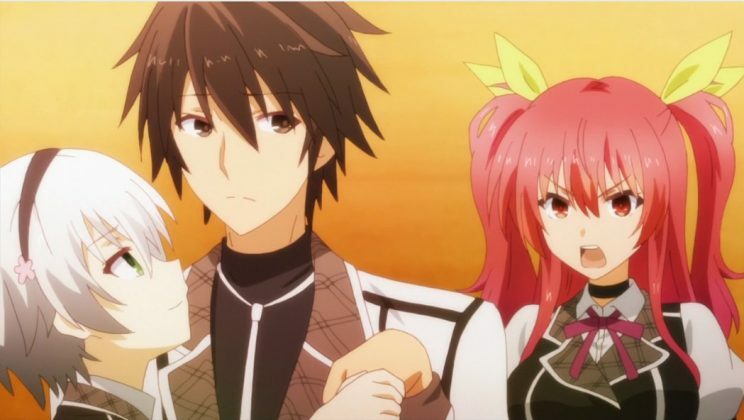 We start off with the tragically orphaned Kasugano twins (she, Sora; he, Haruka; both to the right). They travel to their grandparents’ countryside residence via train, hoping to reconstruct the shards of a shattered life. Two lonely souls, so physically alike, yet so spiritually divergent, that they are unaware of the challenges ahead of them. Sora is weak, frail since her birth, and so is predisposed to being reclusive and unrelentingly dependent on her brother for everything. 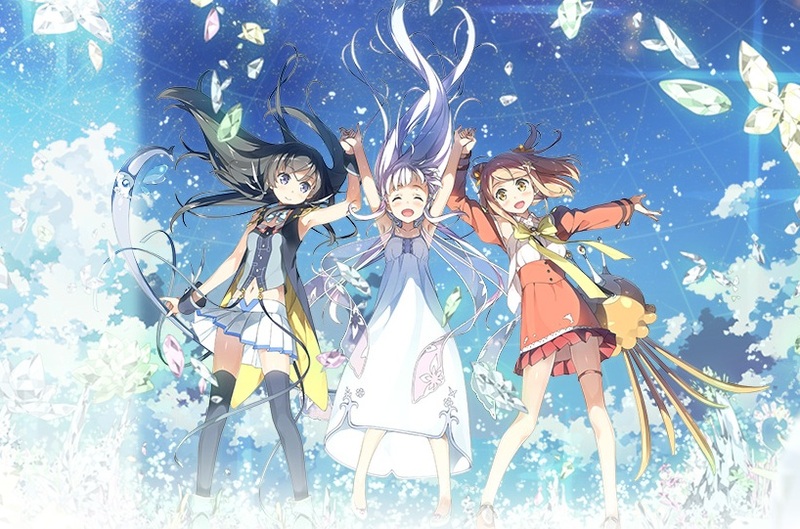 Haruka is damaged emotionally, as he clings to memories of the past, hoping to find the strength he needs to protect his ailing sister and move forward towards a better, new world for them. Yeah, you already see the storm clouds on the horizon. “Osomatsu-san” (“Mr. 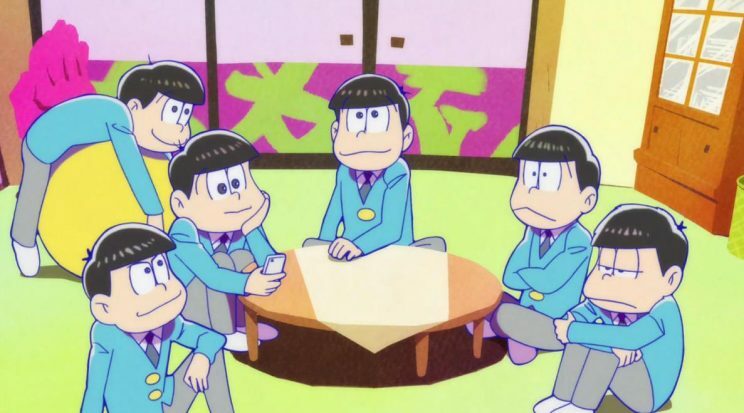 Osomatsu”) is a throwback show, something I have not readily encountered. The show originally ran from 1966 to 1967, in what would have constituted the First Wave of anime (and could have been shown on US television, when I had my initial encounter with anime back in 1964). It was everything you might recall from that time: flat or non-existent backgrounds, overly–broad characters, simple art design and pointless plots. If there are any folks out there that recall the series “Muv-Luv Alternative: Total Eclipse”, this series is the prequel to it. 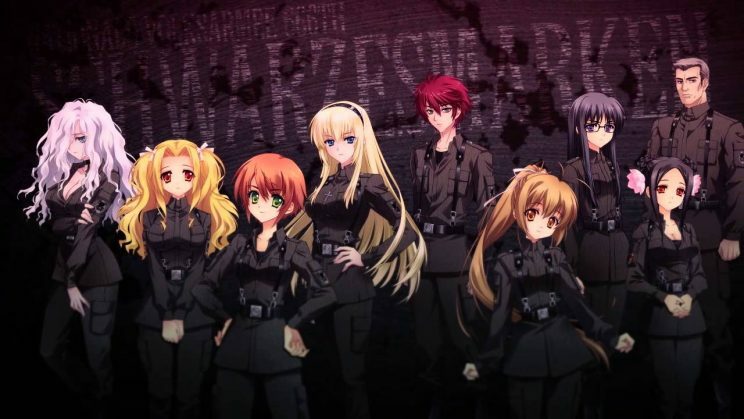 “Schwarzesmarken” (“Black Marches”) takes place 18 years earlier, across East Germany, when humanity thought they still had a chance to win. Let’s back it up a bit for the new ones. In 1958, oddities were noted on the surface of Mars, but no one paid it any heed. These oddities got to the moon by 1967, got identified and the fight began. They landed on Earth in 1973 and things really took off. And who are they? They are the BETA, which stands for “Beings of the Extra-Terrestrial origin which is Adversary of human race”. I guess. I mean, we could have easily called them “Terrible, Ugly, Rapacious, Destroying Space-types”. Anyway, there are eight caliber of these BETA, but we usually see the Grapplers, Tanks, Soldiers and Lasers. They all can be destroyed, but their advantage is sheer numbers.